Since President Trump was sworn into office, his daughter Ivanka Trump and her husband Jared Kushner have been ever-present personalities in the White House. 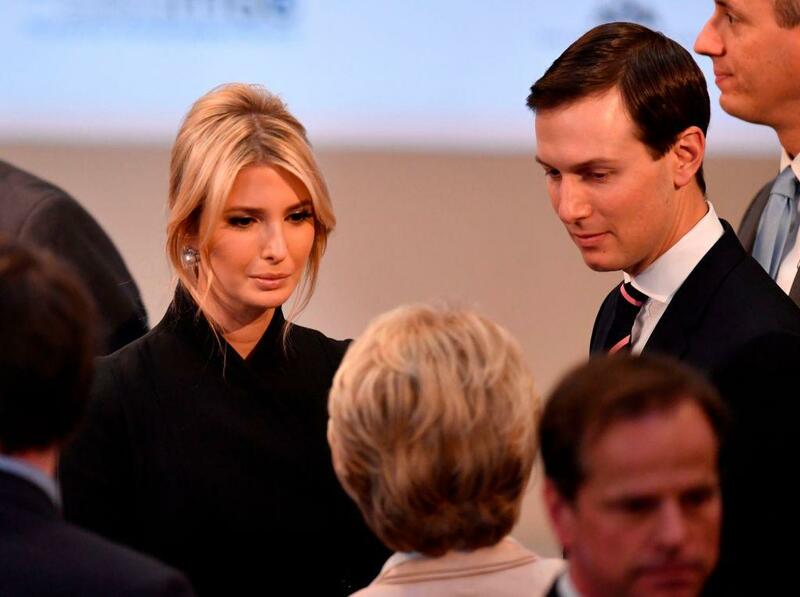 Vicky Ward, an investigative reporter and author of the new book, "Kushner Inc.," spoke with CNN on Wednesday about the book and how the couple is dangerous. "I think that you can't underestimate the dangers of these two, and I think President Trump knows that," Ward told anchor John Berman. Ward, who said she interviewed about 220 people for the book, even told MSNBC that the couple is "perhaps more dangerous than the president" because they operate behind the scenes "kind of in disguise." Ivanka Trump left the Trump Organization in 2017 to serve as a White House adviser with Kushner, her husband since 2009. Ward pointed to Kushner’s involvement in foreign affairs, specifically his work brokering a peace agreement for the Middle East. "Instead of solving Middle East peace, [Kushner] nearly put us into a war in the region," Ward said. She also pointed out how he was taking control of the State Department right out from under then-Secretary of State Rex Tillerson. By taking control of the State Department, it also gave Kushner access to all of Tillerson’s relations. Ward specifically pointed to Kushner’s relationship with Saudi Crown Prince Mohammed Bin Salman in 2017. "His complete control of the relationship with MBS in Saudi Arabia meant that he kind of got played by MBS," Ward said. She added that Saudi Arabia "made a mockery" of the U.S. when it cut off political ties with Qatar after Donald Trump, Kushner, and Tillerson visited Saudi Arabia in 2017. Wade also claims that Tillerson blamed Trump’s early support of the Qatar blockade on Kushner. Ward didn’t mince words on Ivanka Trump, pointing to how the expansion of the child care tax credit "smacks of self-interest." "She still had not sold her fashion line at the time of -- that the child tax care credit went to Congress," Ward explained. "Meanwhile, her own fashion brand was employing these awful labor practices. The whole thing is hypocritical and lacking in any substance. It's all about show. They are all about show." Ward even claims that Trump asked former Chief of Staff John Kelly to send the pair home. "He felt, he understood they were a liability to him," she said. "He hated the negative press that they garnered." Ward also claims Kelly tried to make life miserable for Kushner and Ivanka to the point where they did consider going home. "It was Trump who couldn't pull the trigger, and I think his supporters believed he needs to fire them to save his presidency," Ward said.